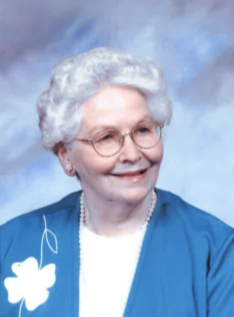 Barbara M. Miller, age 86, of Clarkesville, Georgia, died January 23, 2019, at the home of her daughter after a long period of declining health. She enjoyed a life that was lived fully & well during her many years! She was born in White Plains, New York, November 1, 1930, along with a twin sister, Bernadine and lived in Dorsey, Maryland as well as the Baltimore & Washington D.C. area with her late parents, Henry & Leora Binder. She also had 2 brothers, Donald and Robert Binder. She was accepted into Nursing School at the age of 17 and attended the University of Maryland and the Franklin Square Hospital nursing program in Baltimore. She graduated in 1951 and worked 55 years as an RN Supervisor. She became a 1st Lieutenant after joining the Air Force Nurses Corp. in a952 where she later met her late husband, Major William F. Miller Jr. while stationed in Biloxi, Mississippi. They married in 1955 and she and William (known as Bill) and family traveled frequently in the military world experiencing many other countries, peoples and cultures. Four wonderful children were born in various states and countries and one special girl was adopted from Seoul, Korea. 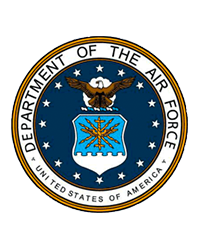 Upon fill retirement from the Air Force, the family moved to Clarkesville, Georgia to be close to Bill's family. Barbara was an exceptional person according to her family and loved ones. She always seemed to find a way to touch the lives and hearts of others and will be long remembered for her gracious, loving, and caring ways. Always caring for others, she spent most of her life doing just that with a big smile, loving heart and open arms and would rescue any animal she found hurt or starving so that the house seemed to be overflowing at times! She is survived by her children: Lonny Miller of Woodbridge, Virginia; Robert and daughter-in-law, Paula Miller of Madison, Alabama; Kenyon and daughter-in-law, Laura Miller of Demorest, Georgia; Suzi and son-in-law, Richard Lee of Albany, Georgia, and Dawn and son-in-law, Jerry Singer of Cleveland, Georgia. She also had 15 h=grandchildren and 8 great-grandchildren all of whom she often bragged about and was so proud of! She is also leaving behind her twin sister, Bernadine Knuckles of Westminster, Maryland, Robert Binder or Michigan, and other nieces and nephews. The family would like to thanks Homestead Hospice and all of her many wonderful caretakers for the exceptional service and care they provided this past year. Visitation will be at Hillside Memorial Chapel in Clarkesville, Georgia, on Friday, January 25, 2019, from 6 to 8 p.m. and at Bethlehem Baptist Church from 10 to 11 a.m. on Saturday, January 26, 2019, where the funeral will be at 11 a.m. The family will have lunch at the church from 12 to 1 p.m. and then will drive over the mountain to Choestoe Baptist Church in Blairsville, Georgia, where she will lay to rest next to her husband, Bill.